I love grilled salmon--and my husband and two of my three girls love grilled salmon. It is healthy, it's light and it is easy to find in our local fish markets and groceries in Columbus. If you are wondering how I grill salmon in Central Ohio in January--I am addicted to my Panasonic Countertop Induction Oven. I have (quite literally) used this oven at least 4 days a week since we hosted our cooking challenge party with my girls and their friends last fall. I LOVE this oven. If you have an indoor grill--that works fine too--as does a foil packet in the oven if need be (and I will add my alternative oven cooking method at the end of this post in the notes). We eat this salmon recipe at least 3-4 times a month. Sometimes, I just serve grilled lemon pepper & dill salmon with rice and veggies--sometimes, we serve it as a wrap with coleslaw and sometimes (as shown in the photo), we lay it over salad for an easy, healthy, weekend lunch. 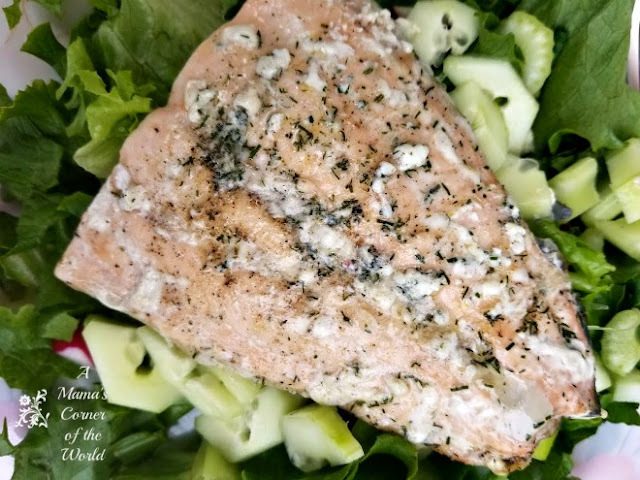 What is my Easy Healthy Grilled Lemon Pepper & Dill Salmon Recipe? Prep the salmon for grilling. Thaw the salmon if frozen. Then, place the salmon skin side down on a lightly oiled or sprayed grill pan or use lightly sprayed foil on a traditional grill. 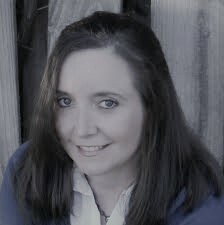 I use the Panasonic oven--and I do not spray the pan or use any extra oil. Sprinkle the seasonings over the side of the salmon facing up. Cut the butter into small chunks and rub evenly onto the pieces of salmon. Grill. Grill according to your indoor grill instructions or outdoor grill recommendations. For my Panasonic Induction Oven, I cook the salmon on Combo 3 for about 13 minutes (and I am evan able to leave the salmon semi-frozen and yield fork-flaking tenderness). Serve the Easy Healthy Grilled Lemon Pepper & Dill Salmon. Sometimes, as I said, we simply serve grilled lemon pepper & dill salmon with rice and veggies--sometimes, we serve it as a wrap with coleslaw and sometimes (as shown in the photo), I serve it over a green salad. Notes: If you would like to prepare these salmon fillets in an oven baked, foil pouch--simply spray 12 x 12 strips of aluminum foil with cooking spray, lay 2 salmon fillets onto each 12x12 strip, sprinkle with seasoning, dot with butter and roll the aluminum foil into packets as shown in the video below. Bake the salmon packets at 400F for about 16-20 minutes. 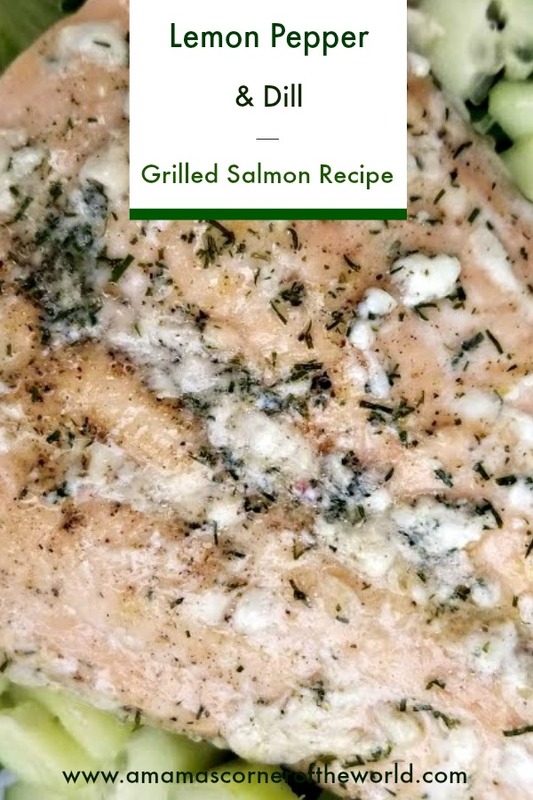 I love grilled salmon--and my husband and two of my three girls love grilled salmon. It is healthy, it's light and it is easy to find in our local fish markets and groceries in Columbus.We eat this salmon recipe at least 3-4 times a month! Serve the Easy Healthy Grilled Lemon Pepper &amp; Dill Salmon. Sometimes, as I said, we simply serve grilled lemon pepper &amp; dill salmon with rice and veggies--sometimes, we serve it as a wrap with coleslaw and sometimes (as shown in the photo), I serve it over a green salad. If you would like to prepare these salmon fillets in an oven baked, foil pouch--simply spray 12 x 12 strips of aluminum foil with cooking spray, lay 2 salmon fillets onto each 12x12 strip, sprinkle with seasoning, dot with butter and roll the aluminum foil into packets as shown in the video above.